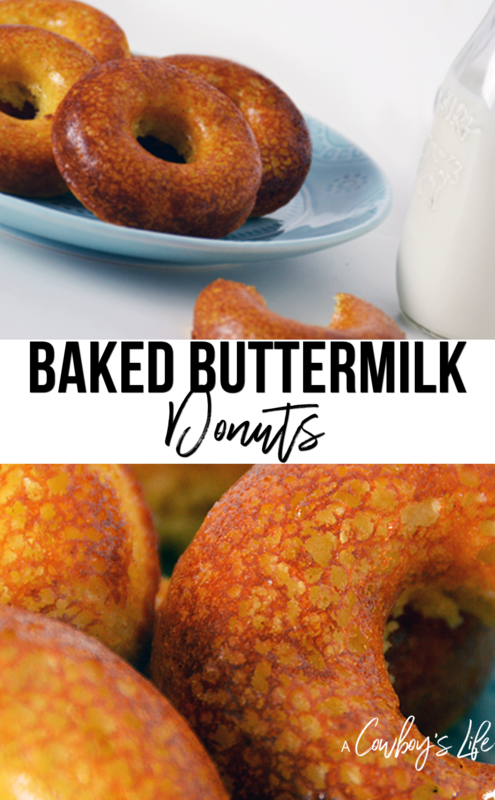 These baked buttermilk donuts are better than the store bought ones! Plus you don’t have to leave the house to get breakfast. My husband bought me a donut pan for Christmas, which was an obvious hint! Donuts are a staple in our household, so I don’t know why I never thought to make them before now. This was the first batch I made and of course my guys devoured them in minutes. Preheat oven to 375. Mix flour, sugar, baking powder, nutmeg and salt in mixing bowl. Stir in buttermilk, eggs, butter and vanilla. Bake for 10-12 minutes. Glaze if desired. Do you make homemade donuts? Any recipes I should try out next? Hmmm. 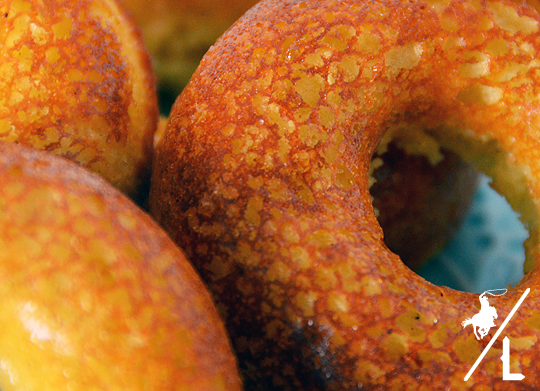 Donuts look bit like bagels when they're not covered in glazing and powdered sugar! Great shots, and thanks for sharing the recipe. Thanks also for sharing at http://image-in-ing.blogspot.com/2014/12/fading-glory.html. Yum! These look great! And really not too hard at all! What a fun treat! Looking forward to seeing your features on WW! Very easy – perfect for little helpers! These look so delicious! Great pictures too! Love the action shots! Thanks! I wasn't even going to take pics of him, but he couldn't wait to eat them. This post has totally convinced me to go out and buy a donut pan! I have to buy a donut pan! Thanks for sharing on Tasty Tuesdays! Oh YUM!! What a "thoughtful" and delicious too.